The Hesed House is short-term intervention home for families with children that are involved in crisis situations. Guest are immediately connected with an extended live-in church family and a strong support environment that helps keep children safe with the goal of uniting families through the power of reconciling individuals to Christ. Mission: Possible! Austin is building a housing complex on our 12th & Chicon property that will be used primarily for interventional purposes. These houses will be staffed with loving, caring individuals who will commit to live in a community of great need. Construction has begun and funds have been raised to get us to a “dried-in” stage ($251,000.00 total raised). 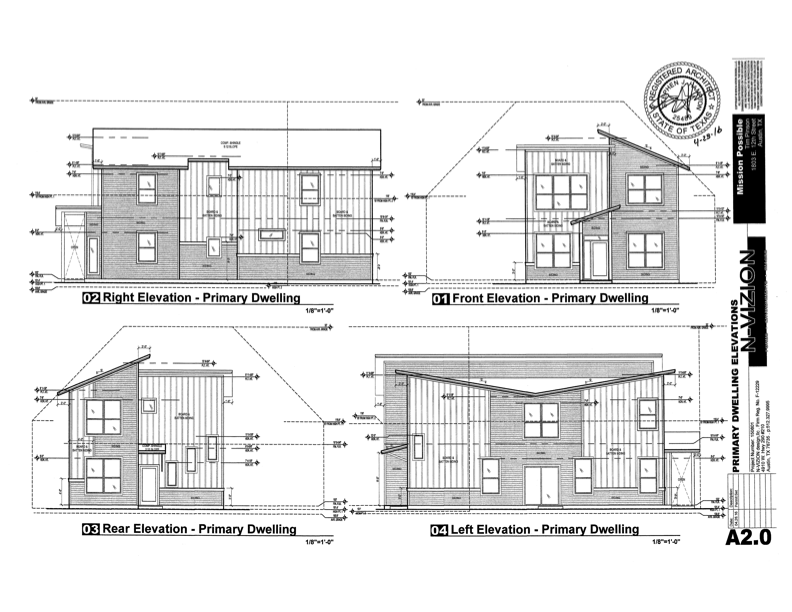 With the high cost of housing in Central East Austin it would be impossible for us to provide this service to our community without this type of housing ministry development, which still has a great number of children and families that are living in high-risk situations. Would you consider investing in the “finish-out” stage of this project in order to complete our Hesed Interventional Housing by Fall 2017? We have $251,000 for the initial build out for the shell of both complexes. This project requires $448,000 total, so an additional $197,550 is needed. Hesed Housing will be used for interns and staff to allow full-time ministry to the community. The primary complex will be a 4 bed/3 bath house and the secondary complex will be a 2 bed/ 2.5 bath house. The covered garage will double as a meeting space for community activities. Both complexes will have central meeting areas for Bible studies and community activities. Projected building timeline: January – November 2017. Property will be exempt from sales tax on the build and exempt from property tax as Church Property (parsonage). INVEST IN REAL LIFE TODAY!